Federal officials faced a dilemma in the years after the Civil War. The Comstock Lode and other Western mines were producing large quantities of silver, but the government could use only limited amounts of it in coinage. This seems puzzling in retrospect, for silver coins were few and far between in circulation (a lingering legacy of wartime hoarding), and Americans presumably would have welcomed major infusions of silver coins. For the miners and their powerful allies in Washington these developments were doubly disturbing: Not only was it hard to sell their silver, but the market price was steadily declining. Initially, coinage did offer one escape valve: Under a long-standing law, silver could be deposited with the Mint for conversion into silver coins, for which it could then be exchanged. Having no other ready outlet, miners took advantage of this one. 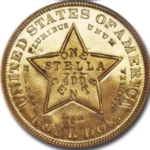 Invariably, they chose silver dollars, the one denomination that hadn’t been changed when silver coins were reduced in weight (and precious-metal content) in 1853. As a direct result, silver dollar mintages soared above one million in both 1871 and 1872. But with the Coinage Act of 1873, Congress closed this loophole by suspending further production of silver dollars. And that’s where the trade dollar came in: Flexing their muscle, the mining interests won approval for this new silver coin, one that would, in theory at least, not only provide an outlet for the metal, but also open a whole new market for it in an area that was already receiving Congressional attention. The market in question was the Orient, particularly China. Some U.S. silver had found its way to that region previously, but now a full-fledged offensive was planned. 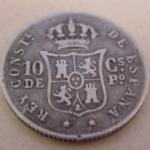 The Chinese had shown a decided preference for silver coins, and up to then the bulk of American trade with China had been carried out with Spanish and Mexican dollars. The trade dollar’s architects set out to supplant those rivals by giving the new coin a higher silver content. They even had it inscribed on the coin: “420 GRAINS, 900 FINE.” At first glance, the trade dollar looks much like a regular silver dollar. 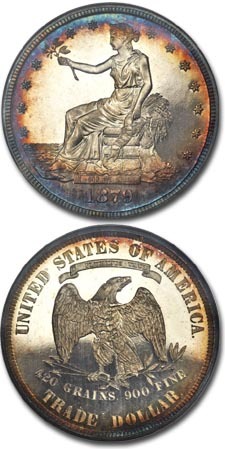 It’s the same diameter and about the same weight as its predecessor the Seated Liberty dollar, and its portraiture is similar: a seated female figure representing Liberty on the obverse and a naturalistic eagle on the reverse designs prepared by Mint Chief Engraver William Barber. In contrast to the new trade dollar, the regular U.S. silver dollar contained just 412.5 grains, and the Mexican dollar had only 416. But the architects had miscalculated; though it weighed slightly less, the Mexican coin had a higher fineness and therefore contained slightly more pure silver. The astute Chinese recognized this and, in many provinces, gave the U.S. coin short shrift, favoring the Mexican coin. That’s not to say the trade dollar wasn’t used. On the contrary, over 27 million went overseas and found their way into Asian commerce, many later being sent on to India in trade for opium. Numerous pieces show chop marks, distinctive Chinese symbols placed on them by merchants to attest to their authenticity. But usage of the coins never approached Americans’ expectations. The trade dollar’s biggest problems occurred not in China but at home. 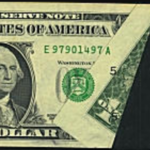 In a last-minute deal, Congress had made the coin a legal tender for domestic payments up to $5. 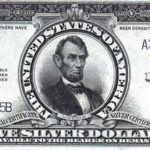 In 1876, millions were dumped into circulation in the United States when silver prices plummeted, making them worth substantially more as money than as metal. Congress quickly revoked their legal-tender status (the only time this has been done with any U.S. coin), but the seeds of serious trouble had been sown. In the late 1870s, employers bought up huge numbers of the coins at slightly more than bullion value (80 to 83 cents apiece) and then put them in pay envelopes at face value. Merchants and banks accepted them only at bullion value or rejected them altogether, so the workers effectively lost one-sixth to one-fifth of their pay at a time when that pay often amounted to less than $10 a week. Spurned abroad and despised by many at home, the trade dollar soon faded into oblivion. After 1878, production was suspended except for proofs and even those dwindled to just ten in 1884 and five in 1885. Like many other “fantasy” coins before them, the 1884 and 1885 pieces were clandestinely struck for Mint crony William Idler and were unknown to the numismatic community until six pieces from Idler’s estate were sold by dealer John Haseltine in 1908. Notwithstanding their questionable origin, these two dates are viewed as great rarities today. In all, fewer than 36 million pieces were struck during the coin’s 13-year lifespan, including about 11,000 proofs. Production took place at Philadelphia, Carson City and San Francisco. The rarest business strike is the 1878-CC with a mintage of 97,000, many of which appear to have been melted. All high-grade business strikes of the trade dollar are rare to non-existent, leaving proofs to fill most of the demand from type collectors. The extraordinary beauty of originally-toned proofs entices many collectors to attempt complete proof runs (excluding the virtually unavailable 1884 and 1885, of course). Indeed, any trade dollar is highly prized and sought in pristine condition. Points to check for wear include Liberty’s ear, left knee and breast and the eagle’s head and left wing. What is a ha-penny and where did it originate? 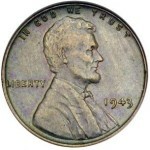 What is a 1945 “thick” penny?